Here’s how it works — easy as 1, 2, 3! 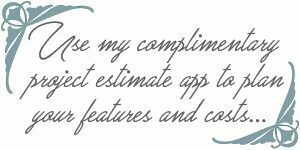 First Step: If you are looking for a new WordPress website or redesign, use my free no obligation Complimentary Project Estimate App to choose your features and receive a free estimate. I’ll assign a Project Estimate Number to your quote and send a detailed copy by email. 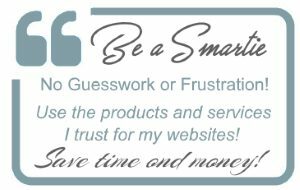 If you just need a little help or coaching here or there for an existing website, or want to inquire about White Glove Service, provide the details below — the more the better. Second Step: Complete the brief form below to tell me about your project and how I can help. The details provided will help me to accommodate your project’s needs. Third Step: When I receive your inquiry, I’ll review your information and project estimate. We can then schedule an online call so we can discuss your project’s details and make sure we are a good fit. At that time I can answer additional questions and address any concerns you may have. Your info will be for my eyes only, will not be shared with 3rd parties and will be used exclusively to send you my response to your inquiry.